If you need replacement windows, Siding & Windows Group is your window contractor in the Schaumburg area. From vinyl windows to fiberglass and wood windows, Siding & Windows Group provides only the best brands for every area of window replacement you need. With Siding & Windows Group, you will receive top of the line service with professional, hardworking staff, and a name you can trust. We guarantee you will get the job done right the first time. Wood Windows – for a great looking, traditional style for your home. Wood replacement windows are easy to maintain, repair, and they are very durable. The thermal insulation of wood windows make them an excellent choice. We install Marvin windows, Pella, and Andersen windows. 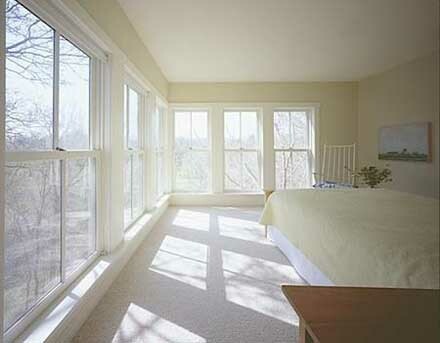 Vinyl windows – you can choose from a variety colors and textures when it comes to vinyl windows. Easy to maintain and very energy efficient, you can custom match your vinyl replacement windows to your home. Fiberglass windows – One of the most durable replacement windows, fiberglass windows provide great insulation, resist condensation, and offer superior strength. Our company installs Marvin fiberglass windows. Replacement windows in Schaumburg are an investment, and you need a business you can trust. As one of the contractors with the most window replacement experience in the area, Siding & Windows Group knows how to provide the service you come to expect from a quality contractor. Our approval rating is at 100%, and we have been doing business for over the past 30 years. We are licensed and bonded, with an A+ rating from the Better Business Bureau. We offer the highest level of craftsmanship possible and our professional window installers know what it takes to make your home look beautiful. Whether you choose vinyl, wood, or fiberglass replacement windows, our installers know how to handle the job. We know how to provide quality customer service in Schaumburg, and our reputation for being one of the window installation companies in the area is hard earned. When you are ready to replace your tired, old windows, we are ready to come and complete an in-home estimate at no cost to you. For more information, please contact us today or call (847) 251-4200. The project delivered on time and did a high quality, professional installation and on time as promised.